Energy from wind was being already used in Ukraine in the 19th century. In 1917, in the territory of Ukraine there were about 30 000 windmills generating up to 200 000 kWh of energy per year. The first phase of development of industrial wind in Ukraine rightfully dates back to the Soviet period of the 1930s. The first 100-kW prototype was developed and installed at Balaklava in the south-west coast of the Crimean Peninsula under the leadership of the famous Ukrainian scientist and researcher Yuriy Kondratyuk. Later he designed a 1 000-kW wind turbine. The next project of the genius inventor was a two-storied windmill with a total capacity of 10 MW (5 MW at each level). The development of modern wind power industry in Ukraine dates back to 1992 when the first Ukrainian wind farm Aktashskaya was commissioned on the Crimean peninsula. The State Complex Program for Construction of Wind Farms in Ukraine was introduced in February 1997. The main focus of the Complex Program was to set up a domestic manufacturing facility for wind turbines but the programme did not allocate any funds for developing wind turbine of national design. The production of licensed wind turbines has been the main path of the wind energy sector development in Ukraine. Within the framework of the conversion programme, enterprises of military–industrial background were involved in manufacturing wind turbine components. This campaign was launched under the motto “clean energy instead of guns”. State Complex Program for Construction of Wind Farms in Ukraine, till 2010, suggested several scenarios for wind power capacity growth depending on the availability of funds; to reach the Programme’s goal of 1990 MW installed capacity by 2010 it was necessary to have 100% of anticipated financing. The main strategic mistake of the Complex Program was the establishment of wind turbine production without preliminary evaluation of the models in Ukraine. During the next 12 years, Ukraine s mastered the production of out-of-date low-powered machines of 107,5 kW, while the world has rapidly moved forward to high MW-class wind turbines. By the end of 2010, within the framework of the Complex Program 701 of USW 56-100 (107.5 kW) wind turbines, produced under license of American company Kenetech Windpower, and 20 of T600-48 (600 kW) wind turbines by Belgian producer Тurbowinds were installed in Ukraine. As of 1 August 2011, the total installed capacity of wind farms constructed under Program reached 87.5 MW. In 2010 the Complex Program was stopped. Today, we can clearly define main reasons for Complex Program’s failure: miscalculations in the financial model; incompatibility of USW 56-100 wind turbines with Ukrainian wind conditions; poor quality of out-of-date turbines; and unavailability of service and maintenance for the turbines. 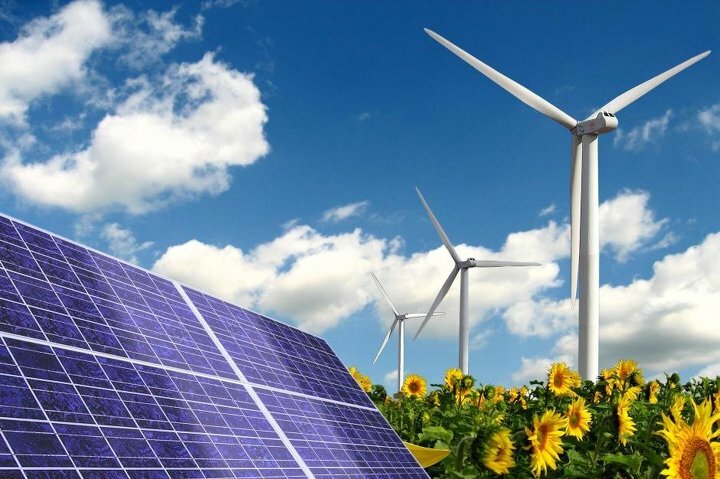 Problems with limited reserves of conventional energy sources and environmental pollutions force Ukrainian government to search for alternative energy sources. Adopted in April 2009, the Law of Ukraine “On Amendments to the Law of Ukraine ”On Electrical Power Industry” as to Stimulation of Alternative Energy Sources Use” №1220-VI (hereafter “Green Tariff Law”) created the necessary prerequisites for a transition to the use of renewable energies and wind energy in particular. Since 2011 all the new wind capacities in Ukraine have been put online with private investments. The Ukrainian Wind Energy association was formed to bring together anyone and everyone interested in developing wind energy sector in Ukraine. It was formally launched in June 2008 in Kyiv. Ever since its foundation the EWEA has been actively defended the interests of the Ukrainian wind energy industry through participation in various working groups to develop the legislation and strategic documents for the energy sector of Ukraine. Contact us to get your outlook for wind industry in Ukraine.